I have been struggling with battery life on the Porsche Design P'9983 and I was unable to get to the bottom of it. 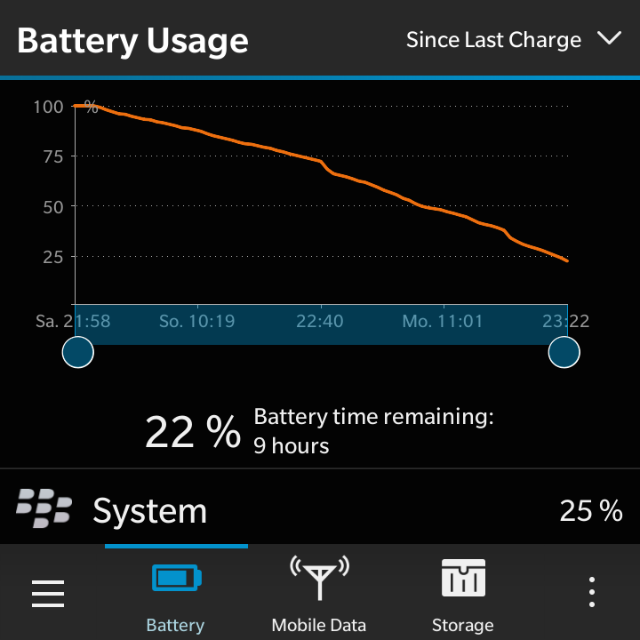 Now I have installed the same BlackBerry 10 version that ships on the Passport Silver Edition and all is well. I don't know why, but I also don't need to know. I tried to keep it alive for two days in a row now for a few cycles and have not failed once. Good to hear that the update solved your battery problems. With this update the camera on my passport is now faster and the pictures quality is better, too.